Four-piece Indie-Americana music collective Carousel release their energised and dynamic debut EP on September 22. From the moment the group of friends first met while working as solo musicians, they discovered a unique chemistry that led to the band’s formation in 2015. Based in Southend-on-Sea, on the coast of Essex, UK, Carousel fuse Americana, country, folk, rock’n’roll, blues and roots music into a unique style that utilises the skills of its four multi-instrumentalists. The band features, Thomas Eatherton (vocals, electric guitar), Chris Hobart (vocals, acoustic guitar, bass), Sarah Holburn (vocals, mandolin, harmonium) and Toby Shaer (fiddle, cittern, vocals). The opportunity to record their material came last year when music producer, Peter Waterman approached them with an idea following a gig in London. In everything they produce, the young group works hard towards ensuring it is as honest as possible, and address issues that are important to them, such as mental health. Tom says his grandparents first introduced him to country music and was taken to country and western live music dances and events from a young age. Throughout his growing up years he was also drawn to rock music and other styles that ventured into realms of Americana, including, Crash Test Dummies, Eric Clapton and Jimi Hendrix. A major passion for Carousel is a focus on breathing new life into music venues and street-level performances around the UK, with a view to remove the barrier between artist and audience. For this reason, Tom says that any time the band is performing live; they encourage the audience to dance, clap, sing and get involved with the music. “The whole point of music and song is to reach out and touch people – if we can do that at every show then our goal is complete,” he says. As they launch their new EP, Carousel is looking forward to lining up more and more live gigs. They have performed on a number of festival bills this year; most notably Leigh Folk Festival, Live Expressions Festival, Daxtonbury Festival, and can’t wait to see what new opportunities the release will bring. 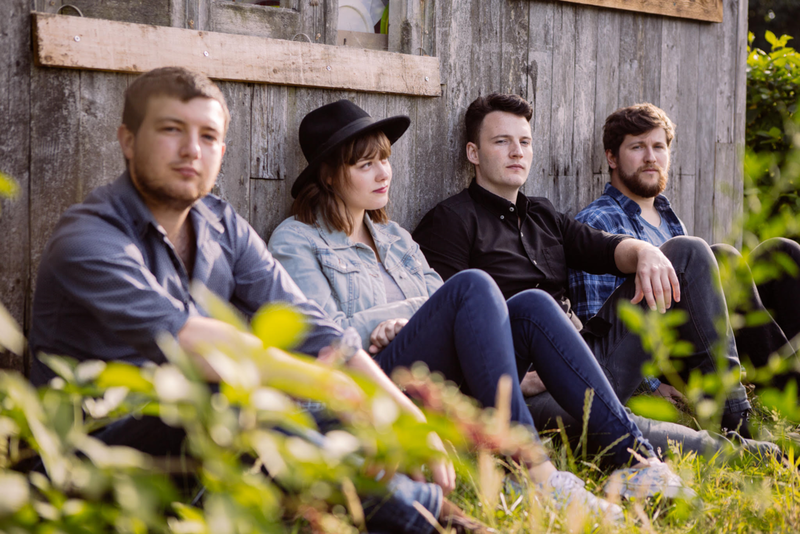 A revived interest in the UK’s Americana genre is also proving there is a demand for the style of music the four-piece is passionate about.